Abstract: Corporate failure has been the issue of discussion in the business environment for a long time Corporate laws, policies and guidelines have been introduced several times to complement or abolish another in some cases. In the case of Nigeria, SEC corporate governance code was introduced in 2003 and replaced with another in 2011. This study aims at finding out the effect of corporate governance code 2011in the pre- (2009-2010) and post- (2012-2013) periods based on 20 of listed Nigerian consumer goods industry as sample. The study concludes that corporate governance mechanism encouraged earnings management in the pre- period while significantly reduced earnings management in the post- period. The study recommends periodic review of corporate governance code for more efficiency of the code. 5. Bolton, B. (2014). Audit committee performance : Ownership vs independence – Did SOX get it wrong ?, 54, 83–112. 7. Bushee, B. J. (2001). Do institutional investors prefer near-term earnings over long-run value. Contemporary Accounting Research, 18(2), 207–46.8. Carcello, J. V, & Neal, T. L. (2000). Audit committee auditor composition and reporting. The Accounting Review, 75(4), 453–467. 13. Dechow, P. M., Sloan, R. G., & Sweeney, A. P. (1995). Detecting earnings management. The Accounting Review, 70, 193–225. 15. Demaki, G. O. (2011). Proliferation of codes of corporate governance in Nigeria and economic development. Business and Management Review, 1(6), 1–7. 18. FRCN Code. (2013). Financial Reporting Council of Nigeria Code. 22. Hunton, J. E., Libby, R., & Mazza, C. L. (2006). Financial reporting transparency and earnings management. The Accounting Review, 81(1), 135–157. 30. Mitra, S., & Rodrigue, J. (2002). Discretionary accounting accruals: A methodological issue in earnings management research. Journal of Forensic Accounting, 3(2), 185–206. 31. Monks, A., & Minow, N. (2004). Corporate Governance (3rd editio.). Blackwell Publishing. deposit banks. EuroEconomica, 33(1), 1582–8859. 33. Njanike, K., Dube, T., & Mashayanye, E. (2009). The effectiveness of forensic auditing in detecting , investigating , and preventing bank frauds. Journal of Sustainable Development in Africa, 10(4), 405–425. 35.Peasnell, K. V., Pope, P. F., & Young, S. (2005). Board monitoring and earnings management : Do outside directors influence abnormal accruals ? Journal of Business Finance & Accounting, 32, 1311–1346. 38. Saleh, N. M., & Iskandar, T. M. (2005). Earnings management and board characteristics : Evidence from Malaysia, 24, 77–103. 39. SEC Code. (2011). Corporate Governance Code. Nigeria. 41. Tricker, B. (2012). Corporate Governance Principles, Policies and Practices (Second Edi.). UK: Oxford University Press. 42. Vafeas, N. (2005). Audit committees , boards , and the quality of reported eamings, 22, 1093–1122. 44. Yu, F. (2008). Corporate governance and earnings management. Journal of Financial Economic, 88(245-334). Abstract: Enormous flexibility of the Internet has made possible what is popularly called “e-commerce” which has made inroads in the traditional methods of business management. All the facets of the business transaction with which we are accustomed in physical environment can be now executed over the Internet including, on-line advertising, on-line ordering, publishing, banking, investment, auction, and professional services. In discussing these aspects of the internet’s role a distinction can be drawn between three forms of transaction. In the first category, as epitomized by the on-line sale of books, Internet businesses allow contracts of sale to be entered into electronically, with the goods involved being delivered using traditional mechanisms. Internet facilitating e-commerce has besides, great advantages; posed many threats because of its being what is popularly called “faceless and borderless”. For instance, sending an e-mail message (offer here) does not require disclosure of the identity any more, e-mail message being like an open post card can be intercepted at any place on line, modified, altered, changed and been made to appear to have come from a person other than the actual sender and what is worst, recipient cannot detect it. Thus, securing issues like Authentication, Confidentiality, Integrity, and Non-repudiation etc have been answered. In order to elucidate the security concern, a separate chapter has been made in this work to discuss the same. 1. E-commerce Survey, the Economist, Feb, 26, 2000, p.16. 2. A Lawack, “Electronic Payment via the Internet in the Netherlands’ the EDI Law Review”, 5; 85-11, 1998. 3. Allan M.Gahtam, et al, Internet Law, Practical Guide for Legal and Business Professional, England: Thomson Professional Publishing, 1998, p.17. 4. Dr. K.V. S. Sarma ‘Law Relating to contracts through Internet’, edited by Ranbiv Singh and Ghanshan Singh “Cyber Space and the law issues and challenges”, Hyderbad: Nalsar University, p. 274-281. 8. David R. Johnson and David Post, “Law & Borders –The Rise of Law in Cyberspace”, Stan Ford Law Review, vol 48, 1996, p. 1357. 10. Anne Wells Brainscomb, “Anonymity, Autonomy and Accountability: Challenges to the First Amendment to Cyberspace”, Yale L. J, vol 104, 1995, p. 1639. 11. David Thatch, “Personnel Jurisdiction and the World Wide Web: Bits (And bytes) of Minimum contracts”, Retgers Computer and Technology Law Journal vol 23 1997, p. 152. 14. Graeme King, “E-Commerce Disputes”; Communication Law, vol 5, No. 1, 2000 at p.16. 15. Marcelo Halpem and Ajay K. Mehrotra, “The Tangled web of E-commerce: Identifying the legal Risks of online marketing”, The Computer Lawyer vol 17, No. 2, Feb. 2000 at p. 9. Abstract: The increased demand on wireless communications results in spectrum congestion that cannot be solved by the static spectrum allocation. In this regard, we propose Cognitive Radio (CR) with Orthogonal Frequency Division Multiplexing (OFDM) technology. OFDM increases the data rate and CR improves the spectrum utilization opportunistically, which is usually underutilized, to the unlicensed users called cognitive users. Keywords: Birth rate, Death rate, Efficiency, Sensing time, Transmission loss, Transmission interference. 1. Won-Yeol Lee and Ian. F. Akyildiz, "Optimal Spectrum Sensing Framework for Cognitive Radio Networks, IEEE Transactions On Wireless Communications, Vol. 7(10), 3845-3857, 2008. 2. Luca Bixio, Marina Ottonello, Mirco Raffetto, and Carlo S.Regazzoni,” Comparison among Cognitive Radio Architectures for Spectrum Sensing”. EURASIP Journal on Wireless Communications and Networking, Volume 2011. 3. Waleed Ejaz, Najam ul Hasan, Seok Lee and Hyung Seok Kim,” Intelligent spectrum sensing scheme for cognitive radio networks”, EURASIP Journal on wireless communications and Networking 2013. 4. Taewon Hwang, Chenyang Yang, Senior Member, IEEE, Gang Wu, Member, IEEE, Shaoqian Li, and Geoffrey Ye Li, Fellow, IEEE,”OFDM and Its Wireless Applications: A Survey”, IEEE Transactions on Vehicular Technology, Vol. 58, No. 4, May 2009. 5. Luca Rugini, Member, IEEE, and Paolo Banelli, Member, IEEE,”BER of OFDM Systems Impaired by Carrier Frequency Offset in Multipath Fading Channels”, IEEE Transactions On Wireless Communications, Vol. 4, No. 5, September 2005. 7. Sami M. Alamal Fouth, and Gordon L. Stuber, "Joint Spectrum Sensing and Power Control in Cognitive Radio Networks: A Stochastic Approach," IEEE Transactions On Wireless Communications, vol. 11(12), 4372-4380, 2012. 8. Hanna Bogucka, Alexander M. Wyglinski, Srikankth Pagadari, and Adrian Kliks, “Spectrally Agile multicarrier Waveforms for Opportunistic Wireless Access ”, IEEE Communications Magazine,108-115,June 2011. Abstract: Software testing is an important role in software development life cycle [SDLC]. In order to deliver defect free software to the customer, time lines are a key factor for software testing to ensure quality testing. Hence estimation of software testing is an important factor to test the software within the time frame in software projects. In today's software projects, estimations can be performed in many ways like function-points, COOCO model, and Use case Test point. This research work is going to illustrate about, how testing estimation can be derived based on requirements and weightage factors like simple, medium, complex against each test scenario, which include test planning and test estimation for a given release. The proposed model will be very useful for estimating the time efforts against each requirement within short duration. This model can be modify based on previous release data’s to calculate the testing effort estimation in more active approach. 1. Jyoti G. Borade and Vikas R. Khalkar, “Software Project Effort and Cost Estimation Techniques”,International Journal of Advanced Research in Computer Science and Software Engineering, ISSN: 2277 128X, August 2013. 2. Rashmi Popli and Naresh Chauhan, “An Agile Software Estimation Technique Based on Regression Testing Efforts”, 13th Annual International Software Testing Conference in India, 04 – 05 December 2013, Bangalore, India. 3. RoyClem, “Project Estimation with Use Case Points”, http://www.codeproject.com/Articles/9913/Project-Estimation-with-Use-Case-Points,2005 . 4. Adeshkumarand Vikas Beniwal , “Test Effort Estimation With & Without Stub And Driver Using Test Point Analysis (TPA)” , International Journal of Engineering Research & Technology (IJERT) , ISSN: 2278-0181 , Vol. 1 Issue 7, September 2012 . 5. Kamala RamasubramaniJayakumar and Alain Abran , “ A Survey of Software Test Estimation Techniques”,Journal of Software Engineering and Applications, October 2013. 6. MuraliChemuturi ,“Software Estimation: Best Practices, Tools and Techniques”, publisher – J.Ross Publishing, Inc, USA, ISBN 978-1-60427-024-2, Pages=298,2009 . 7. WasifAfzal, “Metrics in Software Test Planning and Test Design Processes”, School of Engineering, Blekinge Institute of Technology, Box 520, SE – 372 25 ,Ronneby, Sweden, MSE-2007:02, January 2007. 8. Ashish Sharma and Dharmender Singh Kushwaha, “Applying requirement based complexity for the estimation of software development and testing effort”, Department of Computer Engineering & App., GLA University, Mathura, India. 9. Priya Chaudhary and C.S. 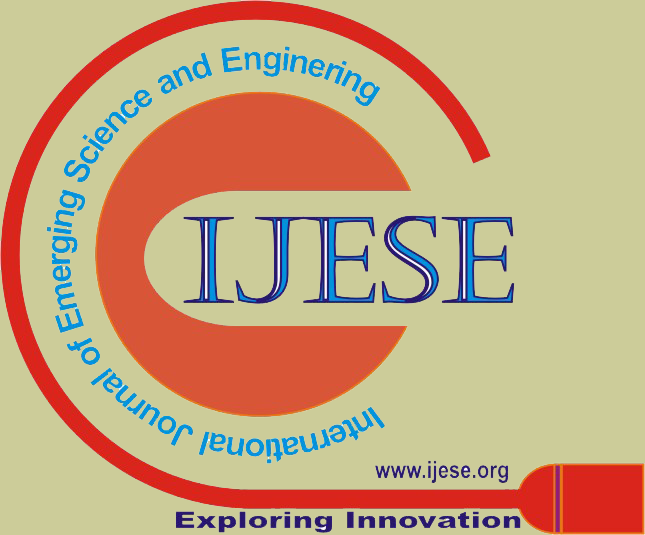 Yadav “Optimizing Test Effort Estimation-A Comparative Analysis”, International Journal of Scientific Research Engineering & Technology (IJSRET) , Volume 1 Issue2 pp 018-020 , ISSN 2278 – 0882, May 2012. 10. Shaik Nafeez Umar, “Software testing effort estimation with cobb-douglas function - a practical application”, ISSN: 2319-1163, May-2013. 11. Seyed Morteza Hosseini , “A Model for Determining the Cost of Test Case Execution (or Test Execution Effort Estimation Model)”, School of Innovation, Design and Engineering, April 2014 . Abstract: Polymer concrete (PC) represent a good alternative to traditional cementitious materials in the field of new building construction. In fact, PCs exhibit high compressive strength and ultimate compressive strain values, as well as good chemical resistance. Within the context of these benefits, in this paper we present a study on the mechanical behavior of polymer concrete. Here we propose to use the principles of homogenization to simulate the behavior of organic matrix concrete for different type of geometry of the aggregates and for the case reinforced with fibers. Compressive testing of the PC is firstly carried out to provide experimental benchmark for validation of the proposed numerical model. A numerical simulation of the model is then performed using COMSOL software and the compressive and bending stress-strain curves are obtained. 1. H. Abdel-Fattah and M. M. El-Hawary, Flexural behavior of polymer concrete, Construction and BuildingMaterials, vol. 13, no. 5, pp. 253–262, 1999. 5. Walter O. Oyawa and all., Polymer concrete-filled steel tubes under axial compression Construction and Building Materials 15 (2001) 187-197. 6. Ghobarah, A.; El-Amoury, T. Seismic rehabilitation of deficient exterior concrete frame joints. J. Compos. Constr. 2005, 9, 408–416. 8. Shigang Ai and all., Numerical analysis on failure behaviour of polyurethane polymer concrete at high strain rates in compression, Computational Materials Science 69 (2013) 389–395. 9. Z. Agioutantis and all.,Numerical simulation of the mechanical behaviour of epoxy based mortars under compressive loads, Computers and Structures 80 (2002) 2071–2084. 11. J. Toma´s San-Jose andall. Reinforced polymer concrete: Physical properties of the matrix and static/dynamic bond behaviour, Cement & Concrete Composites 27 (2005) 934–944. 12. Valentino Paolo Berardi, Geminiano Mancusi, A mechanical model for predicting the long term behavior of reinforced polymer concretes, Mechanics Research Communications 50 (2013) 1– 7. 15. H. Aboubak and all., Creep of epoxy–clay nanocomposite adhesive at the FRP interface: A multi-scale investigation Sherif , International Journal of Adhesion & Adhesives 54 (2014) 1–12. 17. Gabriel Oprişan And All. Application Of Modern Polymeric Composite Materials In Industrial Construction, Bul. Inst. Polit. Iaşi, t. LVI (LX), f. 3, 2010. 18. M.M. Shokrieh and all.,Effects of thermal cycles on mechanical properties of an optimized polymer concrete, Construction and Building Materials 25 (2011) 3540–3549. 19. F.J.C. Del Vecchio and all., Elasto-viscoplastic behaviour of polyester polymer mortars under monotonic and cyclic compression, Polymer Testing 35 (2014) 62–72.